This award was established in 1932 as a certificate of merit for members of the medical and allied professions who have rendered extraordinary service to the cause of rehabilitation. Candidates are nominated by members of the ACRM Board of Governors and the recipient chosen by a Nominating Committee vote. This is the highest honor given by ACRM. 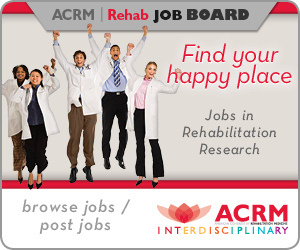 Candidates may be any medical professional who has demonstrated extraordinary service to the cause of rehabilitation. The winner is not required to be an ACRM member.